AIRBNB Las Vegas House and Not Hotels? Las Vegas, Nevada – the playground of America. When you hear about Las Vegas, instantly your mind goes to the Strip. The Casinos, lights, shows, and memories of the days of old where you could find the Rat Pack wandering the streets looking for a real-time or great lounge. Some think about the cost – but mostly we think of the line – What happens in Vegas, stays in Vegas. With the emergence of companies like Airbnb, why aren’t the hotels and casinos more worried? You’d think they would be panic about another company finding a better deal for the same customer base and having them go elsewhere but think about it. Places like Airbnb and others are making sure that the big name casinos are getting a slice of the very lucrative tourist trade that is always ongoing in the city that rarely sleeps.The simple fact of the matter is that websites, like Airbnb, just help boost sales for these locations. To wit, out of the twenty largest hotels in America, seventeen are found in Las Vegas. Additionally, twenty-seven of the world’s largest hotels can also be found in Las Vegas. 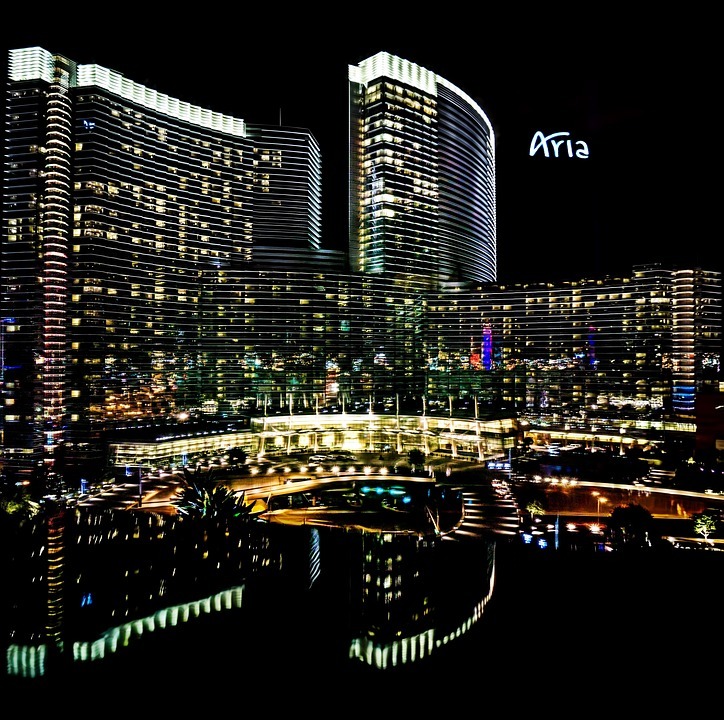 While the average American is hard-pressed to afford a stylish room on the strip – the websites are there to assist with those that want to feel the full Las Vegas experience. One study suggested that around 96% of those from out of town stayed in hotels while visiting Las Vegas in 2015. Of that 96%, nearly three quarters stayed on the strip. Even if you don’t stay on the strip, there are shuttles that often run to it and allow you to still ‘experience’ Vegas the way many feel that you should. You can still go to the shows and the attractions while saving money – allowing you to spend more money in the more well-known locations like New York, New York, The Bellagio, The Venetian. All of these are still attainable because money was saved elsewhere.Another reason that many of the major hotels aren’t worried is that of the huge conventions that are becoming a regular thing for the Las Vegas area. With these conventions, you can see hundreds of thousands of people flocking to the location for the weekend. Most even stay for a long weekend or a week. There are also the people that attend the conventions as attractions – the stars and speakers. They are put up by the companies or conventions that have most of the areas booked and will pay additional money while there as well. Everyone likes to take in a show, or go to a spa. This creates, even more, revenue for the hotels. A few weekends of conventions, both business and pleasure, will see the hotels make up for any ‘lost revenue’ that could be said to have been incurred by the advent of Airbnb about a decade ago.When looking over all, sites like Airbnb are there to make the more unaffordable aspects of vacation more affordable. While there might be something of a steal on these sites, you’ll still be hooked by the experience that you’re getting while at the pricier venues. There is no skin off of the noses of the bigger locations because they are still making money off of food, the drinks, the money lost, and the shows or events that are attended. These all go back directly into the major hotels and casinos pockets. There are sometimes discounts offered, but that is to be expected.The major hotels and casinos do the same things. They introduce to the pretty amazing amenities that are offered by staying at one of the locations, and soon you realise that you’ll be happy to spend a lot more on your next visit. As a species, there is a want, nay need, for the nicer things, and while some can hold to the line of a ‘penny saved is a penny earned’ it’s hard to recall that when we want these things instantly. Airbnb and sites of their ilk introduce you to Vegas at that money-saving introductory rate. Later on is when you’ll find that the prices were subject to change and you’ll be paying infinitely later on.